We just got a whole bunch of awesome Nintendo Switch game announcements in today’s Nintendo Direct, but as usual, Japan got a little bit extra. Here are the announcements you didn’t see if you only watched the U.S. Direct. 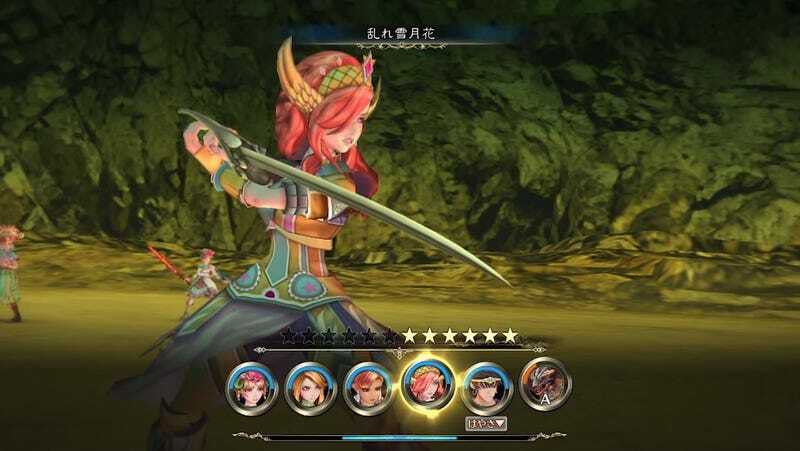 SaGa Scarlet Grace, the latest in Square Enix’s long-running series of really complicated RPGs originally released on Vita, is coming to Switch this year. Finally, Phantasy Star Online 2: Cloud, announced last year, got an update: It’ll include Breath of the Wild costumes and equipment. This will launch on April 4 in Japan. Sega’s American branch told Kotaku it had no news to share today about the game. Reminder: The Switch is region-free! Okay, maybe that doesn’t help you with these RPGs if you don’t read Japanese, but at least you can just import Taiko if it doesn’t come here.